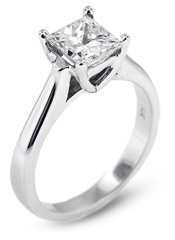 Make a powerful statement with a stunning solitaire ring from Diamond Traces. Simple elegance always makes a mark, our solitaire engagement rings are sure to win her compliments every day, available in all shapes and sizes. She’ll wear this ring forever. 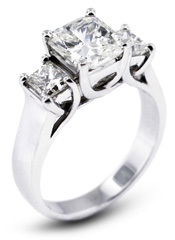 Commemorate your love with a three-stone ring from Diamond Traces. Our stunning selection of diamond anniversary rings are expertly handcrafted to last a lifetime. From timeless to modern, you’re sure to find the right ring to symbolize your eternal bond. Our assortment of three-stone rings includes many styles, shapes and metal choices to suit every taste. 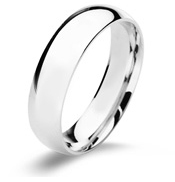 The eternity wedding ring symbolizes your eternal love for each other. You'll both find a large collection of styles that are unique to Diamond Traces. Our assortment of eternity wedding rings includes styles, shapes and metal to suit every taste. 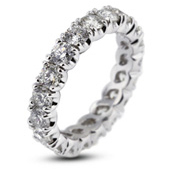 The diamond wedding band symbolizes your endless love. 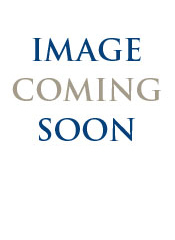 You'll find the largest collection of wedding band styles here on Diamond Traces. From micro pavé, to eternity with diamonds and to channel set, our assortment of wedding bands includes styles, shapes and metal to suit every taste. Choose from our handcrafted semi mount engagement rings to ensure your ring will last a lifetime, while it protects and showcases your sparkling center diamond. All our rings are guaranteed by our lifetime warranty. 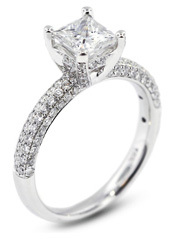 Select from our large collection of semi-mount engagement rings in a wide variety of styles, metals, price and shape. 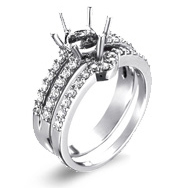 Our wedding ring mountings will suit every taste. We make it easy to design your perfect ring that fits your lifestyle and taste, in just three easy steps. Try it now! Just select your setting, your diamond and the complete your ring.